Safe and nutritious food in adequate amounts is required for the sustenance of life and the promotion of good health. However, food provides an environment for microbial growth and, when contaminated, can act as a vector for bacteria, viruses, parasites, and prions, causing food poisoning. Besides, it is often contaminated with toxic chemicals present naturally and/or mixed accidentally or intentionally, which are also potentially harmful. Almost any kind of food can spread disease, and unsafe food is responsible for creating a vicious cycle of disease and malnutrition, affecting all, but particularly infants, young children, and the elderly. Unsafe foods containing pathogenic microorganisms and toxic chemicals are responsible for more than 200 diseases ranging from diarrhea to cancer. Food- and waterborne diarrheal diseases are linked to the deaths of an estimated 2 million people annually worldwide, including many children. It is estimated that the reduction of foodborne diseases by 10% would save 5 million people from getting sick. In developed countries, there are intricate standards for food preparation, whereas in less-developed countries the main issue is simply the availability of adequate safe water, which is usually a critical item. Almost any type of food can spread illness. 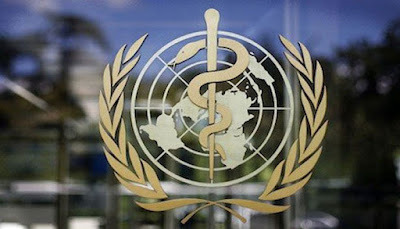 The Centers for Disease Control and Prevention (CDC) have documented causes of illness in 1,565 outbreaks of single food commodities during the period 2003-2008. Contributing factors reported for confirmed foodborne outbreaks in the USA during the period 1993-1997 are: improper holding temperature, poor personal hygiene, contaminated equipment, inadequate cooking, and food from unsafe sources. Unsafe food may affect all, but particularly, infants, young children, and the elderly. The poor are most vulnerable to foodborne health risks. Moreover, foodborne diseases not only adversely affect people's health but also have negative economic consequences for individuals, families, communities, and countries. 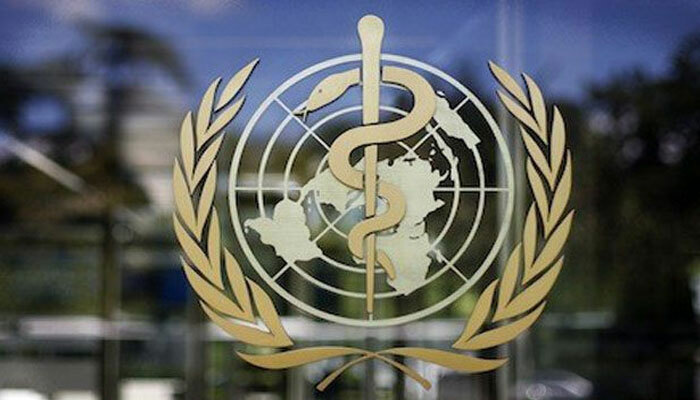 Serious outbreaks of foodborne diseases have been reported on every continent in the past decade, illustrating their public health significance. Despite the fact that foodborne diseases are among the most widespread problems of public health concern, not more than 10%, and sometimes maybe as low as 1%, of the real incidence of foodborne diseases are reported. New food vehicles of transmission: Increasing attention is being focused on fruits and vegetables. While the most prominent causes of foodborne diseases are of microbial origin, other biological as well as chemical agents are also a cause of concern. Some of these are as follows. Escherichia coli O157: Referred to as enterohemorrhagic E. coli, produces verotoxins that are principally transmitted to human through the consumption of contaminated foods, such as raw and undercooked meat products and raw milk, as cattle appear to be the main reservoir of the bacteria. It is a major cause of bloody and nonbloody diarrhea. Listeria monocytogenes: Found in various raw and processed foods, such as milk and cheese, meat, sea foods, and fish. Pregnant women, newborn babies, and the elderly are the most vulnerable to the bacteria. This pathogen primarily causes meningitis, encephalitis, or septicemia. Abortion, stillbirth, or premature birth may result when pregnant women are infected. Salmonella serotype typhimurium: (Multidrug resistance): This has been isolated from cattle, poultry, sheep, and pigs. Therefore, humans can be infected due to consumption of contaminated animal foods. Salmonella serotype enteritidis: Mainly found in poultry and eggs, it is the main cause of human salmonellosis that manifests as invasive disease and reactive arthritis. The bacterium has the ability to contaminate the contents of an intact egg shell. Hepatitis E: Potential sources are water and food, especially raw shellfish. Cyclospora cayetanensis: This protozoan occurs in tropical water but is also found in raspberries, lettuce, and fresh basil. It causes watery diarrhea in humans. Prions: It is a protein that can fold in multiple, structurally distinct ways, at least one of which is transmissible to other prion proteins. It is this form of replication that leads to disease that is similar to viral infection. While several yeast proteins have been identified as having prionogenic properties, the first prion protein was discovered in mammals and is referred to as the major prion protein (PrP). This infectious agent causes mammalian transmissible spongiform encephalopathies, including bovine spongiform encephalopathies (BSE, also known as "mad cow disease") and scrapie in sheep. In humans, PrP mainly causes Creutzfeldt-Jakob disease (CJD). It is accepted that humans have contracted CJD after the consumption of cattle meat and offal, in particular nerve tissue. Mycotoxins: These are toxic products of certain fungi sometimes developing on or in foodstuffs of plant and animal origin. Hundreds of mycotoxins have been identified from about 200 varieties of fungi. The detection of pathogenic organisms requires laboratory facilities and trained staff; however, many of the harmful chemicals commonly present in the foods as contaminants can be detected following a simple methodology and even with the use of test kits. Many chemical substances (adulterants) not permitted to be added in foods are used intentionally by unscrupulous merchants and traders for making quick profits. Sometimes, though, these substances are accidentally mixed with foods. Foods that are often adulterated are milk and milk products, atta, edible oil, cereals, condiments, pulses, coffee, tea, confectionary, baking powder, nonalcoholic beverage, vinegar, besan, curry powder, vegetables, fish, etc. Intentional adulterants: Sand, marble chips, stones, mud, talk, chalk powder, water, mineral oil, harmful colors, etc. Incidental adulterants: Pesticide residue, dropping of rodents, larvae, etc. Metallic contaminants: Arsenic, lead, tin, etc. However, the most important issue is to provide safe food to the consumer, and to achieve food safety a bridge needs to be built between public health and other, related sectors, particularly the agricultural and animal health sectors, to ensure effective cross-sectoral collaboration. 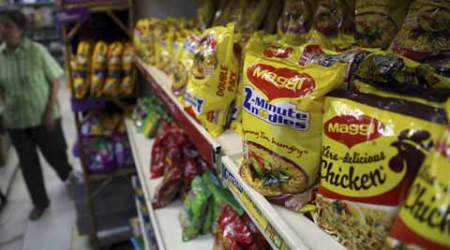 Various measures have been taken to protect consumers against the intake of unsafe foods. ISO 22000 is a standard developed by the International Organization for Standardization dealing with food safety. The ISO 22000 international standard specifies the requirements for a food safety management system that involves interactive communication, system management, prerequisite programs, and Hazard Analysis and Critical Control Points (HACCP) principles. Various regulatory agencies, both international and national, also involved looking after the safety aspects of foods. In 2003, the World Health Organization (WHO) and the Food and Agriculture Organization of the United Nations (FAO) published the Codex Alimentarius, which serves as a guideline to food safety. Several countries also have formed their own regulatory agencies related to food safety. Under the administrative control of the Ministry of Health and Family Welfare, Govt. of India, the Food Safety and Standards Authority of India has been entrusted with the task of complete implementation of the Food Safety and Standards Act, 2006 (the mandatory central legislation), statewise. The Act intends to ensure better safety through Food Safety Management Systems and set standards based on science and transparency, also to meet the dynamic requirements to Indian Food Trade and Industry and International Trade. It takes care of international policy frameworks and the provision of a single window to guide and regulate the work of those engaged in manufacture, marketing, processing, handling, transportation, and import, and the role of a food authority. 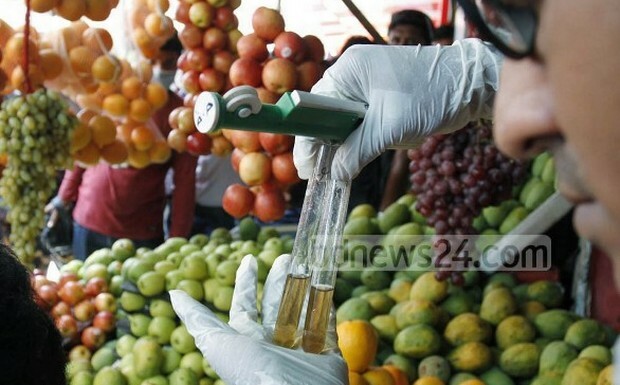 The use of adulterants in food not only cheats the consumer, but can pose serious health risks. However, the presence of adulterants is often difficult to detect by visual inspection. To overcome the problem and to generate awareness, the Food Safety and Standard Authorities of India have developed a manual, "Quick test for some adulterants in food," to protect the households/small industries and common people against food adulteration. Leadership and technical assistance to provide leadership and to assist in the development and strengthening of risk-based, integrated national systems for food safety. 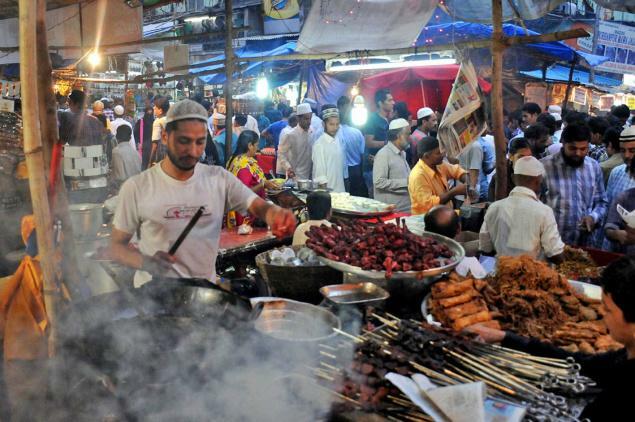 Street foods are potential threats for foodborne diseases, and their safety aspects have been of great concern for decades. A regional consultation on safe street foods was organized by Regional Office of WHO for South-East Asia, the Regional Office of FAO for Asia and the Pacific, and the Institute of Nutrition, Mahidol University in 2011 with the general objective to "promote safe street foods in Asia." Importance of educating food handlers regarding food safety was long been known to the WHO. The organization in 1990 developed the "Ten Golden Rules for Safe Food Preparation," that was widely distributed. However, realizing that for general application a simpler recommendation would be practicable and effective, WHO introduced the "Five Keys to Safer Food" poster in 2001. It, in fact, incorporated all the messages of the previous recommendation but was under simpler headings, which were much easier to remember. It was translated into more than 40 languages and used to spread the message related to food safety throughout the world. In 2006 the Department of Food Safety, Zoonoses and Foodborne Diseases of WHO developed the "Five Keys to Safer Manual" that included the "background material" related to food safety and "five keys to food safety."